Predicting, categorisation, ordering, generalising, problem solving, summarising, analysis, making distinctions, decision making, cause and evidence are among the skills developed. 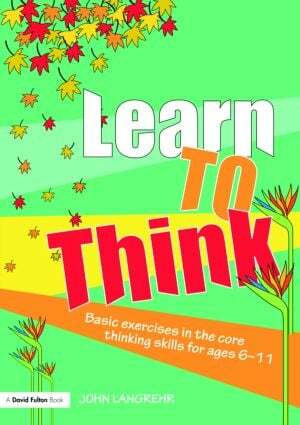 This book introduces the basic core thinking processes used to connect and make sense of information through a range of skill based sections which provide the basis of a thinking skills programme for pupils. It is complete with introductory notes and examples, pupil work sheets, suggested answers and further useful questions. The resources are fully photocopiable and are suitable for 6 -11 year olds.